Semester after semester students are left over with books , materials , and other supplies that they no longer need. Students usually throw away their stuff or keep it in their closets until they are tossed away. According to my research , students struggle with reselling around campus because of how much time is needed to post flyers and safely deal with money around campus. Students also struggle with finding people who sell the things they need around school. Essentially the question is , how do you sell or purchase safely and reliably around your school campus from other students? Create an app that student can use to list their materials and sell easily and safely to other students exclusively to their campus. They can set pick up destinations near their favorite campus building and pay safely through the app. 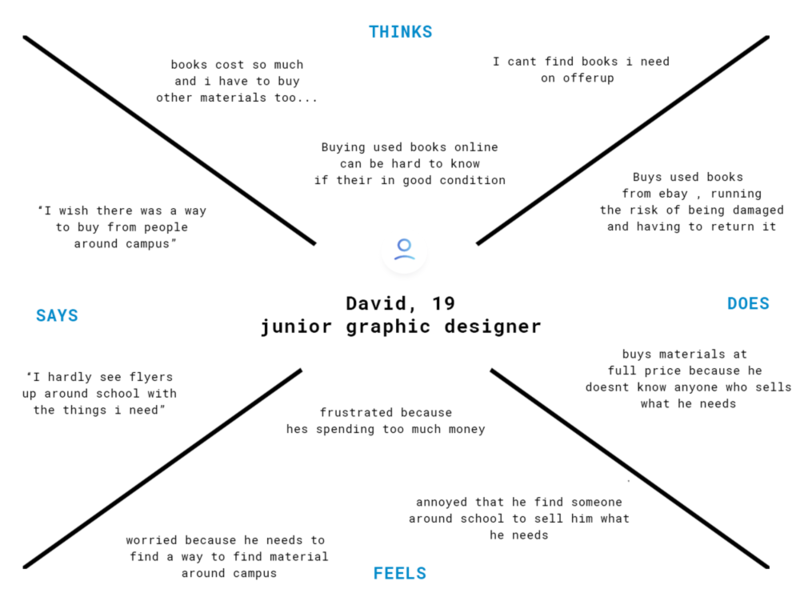 I interviewed ten students who fit my potential use base. Based on my user interviews and insights I created two user personas that exemplify my user base , one as a buyer and one as a seller. 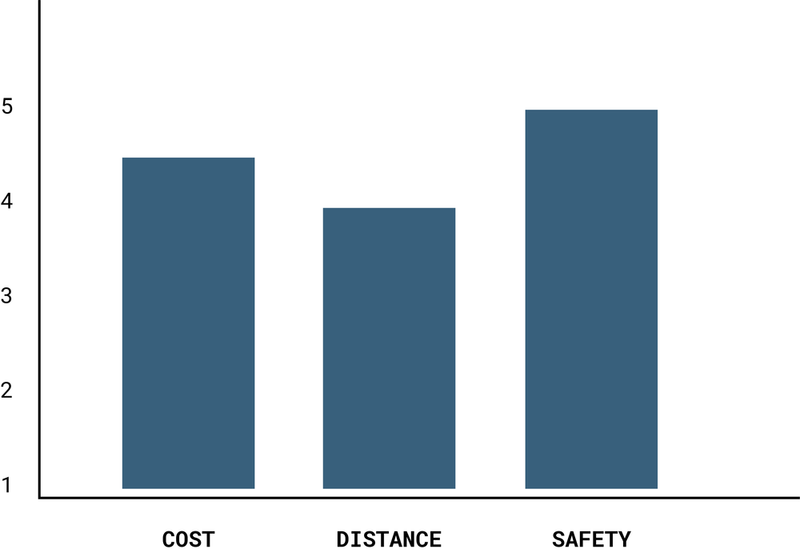 I asked students to rank the following purchase/selling factors by importance: cost, distance, and safety. The graph depicts the average of the ranked scores for those factors; the higher the score, the more important it is to our sponsor users. One of the key goals I had was creating an easy way for users to purchase materials from other students around school. This would allow users a convenient , safe , and easy way to search and communicate with students around the campus. I designed a GPS hot spot system that can allow students to set locations around the campus in specific buildings that are convenient to the user. I wanted to create an easy unboxing experience while educating the user with vibrant visuals that display the important features of the app. After pitching this concept to various students at school, I received resounding, positive reviews. 1. Functionality Expansion: Moving forward, I would love to see a networking feature in this app. This was an initial feature idea but I wanted to focus on the selling and buying first. Ideally , using the same gps system for creating hot spots around school to buy and sell , we can use to network with other students in different departments around school. 2. User Testing: An extremely important next step for us would be to actually get users in front of the product. We would want to see which features they used or didn't use, and if there were any features that was particularly difficult to access or use. We were particularly interested in seeing if students felt safe creating hotspots around school to meet up and buy/sell from other students. Copyright 2017 Victor Lara. All rights reserved.